Abnormal growth and development in young horses can significantly impact their future career as sound athletes. Nutrition plays a fundamental role in the development of bone and structural components of the young horse. So, how can dietary changes minimise the risk of Developmental Orthopedic Diseases occurring? Developmental Orthopedic Disease (DOD) is an umbrella term for growth disturbances and orthopaedic problems in growing foals and older horses. DOD has many manifestations including physitis, wobbler syndrome, angular or flexural limb deformities and Osteochondritis Dissecans (OCD). The occurrence of these diseases consequently leads to hundreds of young horses being structurally inadequate for the career they were bred for. All growing animals require energy, protein minerals and vitamins. Researchers have found positive links to appropriate nutrition of the gestation mares and off spring, laying foundations for correct bone development and therefore reducing the incidence of DOD. Craig Kileff, Nutritional Consultant from Bluegrass Horse Feeds stated, “You can’t get it back, feeding from the foetus is key and will influence the rest of their life”. The critical minerals for growing horses include, microminerals; copper and zinc and macrominerals; calcium and phosphorus. It is recommended to provide adequate supplementation of these minerals to the pregnant mare, particularly during late pregnancy. The unborn foal will gradually build up stores within their liver to be used in their first few weeks of life, as milk is a poor source of these essential nutrients. Calcium makes up 35% of bone structure and approximately 99% of calcium in the body is found in bones and teeth. It is also involved in other body functions such as muscle contraction and blood clotting mechanisms. A deficiency of calcium has been associated with rickets, characterised by poor mineralisation of osteoid tissue and probability of enlarged joints and crooked long bones. Scientific data has shown linear relationships between dietary calcium intake and perceived severity of DOD. Excessive calcium can occur if feeding large amounts of lucerne (Alfalfa) or by supplementation of calcium via ground limestone. However, an excess of calcium has not been seen to be detrimental if the phosphorus level is adequate. A critical component for proper skeletal development, making up 14-17% of the skeleton. Phosphorus is also vital for cellular functions within the body. Deficiencies in phosphorus have been shown to predispose horses to DOD and lead to bone demineralisation. When the amount of phosphorus in the diet is greater than that of calcium, it interferes with the absorption of calcium and therefore causes a deficiency. Feeding large amounts of grain or bran can lead to excess phosphorus. It is therefore important to maintain to 2:1 calcium to phosphorus ratio. Coper is required for several copper dependant enzymes as well as lysyl oxidase which is involved in elastin and for collagen formation. A deficiency in copper does not in fact affect the growth rate. However, without adequate levels of copper necessary for normal bone and cartilage development there will be decreased bone density, ultimately resulting in DOD. Supplementation of copper, zinc and selenium of pasture fed pregnant mares may lead to the reduction of incidence and severity of physitis and articular cartilage lesions in weanlings. Zinc is a component of many metalloenzymes involved in protein and carbohydrate metabolism. Deficiencies correlate with increased incidence of DOD. Zinc and copper ratio needs to be balanced, high levels of zinc with margin levels of copper can lead to DOD, as zinc interferes with the absorption and utilisation of copper. Overfeeding young horses has been highlighted in recent years as a contributing factor to the incidence of DOD. A study conducted in the United states and England looked at 10,000 thoroughbred yearlings, showing that overweight and obese yearlings had a lower performance on the racetrack. Regular condition scores should be taken by owners to monitor growth rates. Reducing high cereal diets with alternative energy sources such as fats and fermentable fibre and providing enough exercise to limit the side effects of a high energy diet, are all proposed as good practise. Nutritional influences are not the only contributions to the development of DOD in growing foals. Exercise, genetic predisposition and confirmation have been associated. A gradual increase in body size combined with gradually increasing strength and activity, can cause the development of bone to gradually accept the load applied. Stress is considered a product of body load and activity. Continual stress is a necessity to dictate proper bone formation. 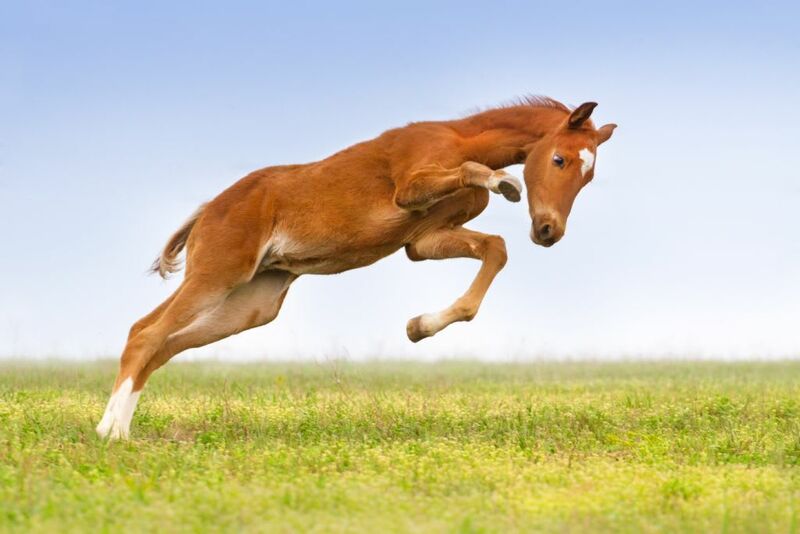 Deprivation of exercise due to illness of mare or foal, weather or management factors over several weeks, can leave the foals newly formed bone inadequate when normal exercise resumes.